Please take a moment to familiarize yourself with the new documents as they apply to you for the kinds of sanctioned and/or Premier Events you want to participate in the future. Let me know if you have any questions! Posted by Gryphon in Pokemon TCG. In case you haven’t taken a look at the Tournaments tab or noticed the updated League Calendar to the right over there, we have the Georgia Marathon of City Championship tournaments coming up here in our home state, starting right on December 1st and ending sometime in early January. These tournaments are the next step up from Battle Roads, meaning that they’ll likely be larger, be more competitive, and will get you more Play Points for attending… as well as more Championship Points if you do really well! If you want to try to earn a chance to compete at Nationals next summer, it’s highly recommended that you attend a few City Championships. So, what all will you need to be able to attend a City Championships tournament? You will need a deck of 60 cards in card sleeves, with each and every single one of those cards being Modified legal. What does that mean? It means that the card had to have been printed (or reprinted, I’ll explain later) in a set expansion within the current Modified format. Currently, the Modified format goes as far back as the Black & White set expansion (BLW, the symbol resembling a 4-square checkerboard) and includes all sets released since then, such as Emerging Powers and Boundaries Crossed. Any cards from all other sets (Base set to Call of Legends) are considered “out of rotation” and are not legal to use, unless they are cards that have been reprinted in a Modified-legal set, such as Potion, Rare Candy, and Double Colorless Energy. One BIG exception to this is Computer Search, though; if you wish to use this card in your deck, it will absolutely HAVE to be its Ace Spec print from Boundaries Crossed. As for the card sleeves, they will need to all be identical, with artwork that does not extend to the edge of the sleeve (sleeves that are simply a flat color with no artwork are preferred). You will need a randomizer (either a coin or a die), markers for Poison and Burned conditions, and something to keep track of damage to your pokemon. If you want to bring a coin, it will have to be an official plastic coin such as those that come packaged inside preconstructed decks or blister packs. If you want to use a die (singular of dice) instead, it will need to be translucent (see-through), and have rounded edges, 6 sides, and pips (dots, not numbers like certain kinds of role-playing dice). You can also use dice as damage counters, but they will have to look different from the die you use as your randomizer, and they can be opaque (not see-through) if you want. You will need a completed decklist that lists all of the cards in your deck. This is just something you have to turn in to the tournament staff, who have to check the contents of players’ decks to make sure that everyone is using a legal deck with legal cards. It’s best if you fill it out before you leave for the tournament, so that you’ll have it ready to hand in when you go to register. You can print out a blank decklist here and fill it out, or you can go here to easily fill out a decklist online and print it out (recommended for younger players). The information you put down here is kept confidential among the tournament staff. You will need a fully-registered player ID. If you followed the instructions correctly on the small card sheet that came attached to the player ID we gave you, you should have a Pokemon Trainer’s Club account with a Play! Pokemon ID number synced to it under your name. You will need to keep that player ID card with you every time you come to League or register to compete at a tournament, because that ID is what the staff uses to report your League attendance and your tournament results to The Pokemon Company International (TPCi) who can then award you whatever Play Points or Championship Points you earned, plus any other rewards you may receive directly from them. Your ID number is how they keep track of how well you do, so it’s super important that you keep track of where your ID card is and do not lose it. If you are a new player who has yet to sign up and receive an ID, or if you’re an old player returning who has an old ID under Pokemon Organized Play, you may be able to sign up for a new ID at the tournament, though you can also just stop in during any League session. Either way, you will need to sign up for an account on the official Pokemon site and register your ID online before your participation will count, so be sure to complete your registration as soon as you can! Something to keep your stuff in. At the very least, it will have to hold your deck (in a deckbox, preferably), coins/dice, markers, and damage counters. If you happen to have a collectible card tin, such as the recent EX tins and any similar tins, that would be ideal. If you also plan on bringing a small pad for notes, playmat, or mascot plush or toy, you may want to consider a small box, tote, or backpack. The point is to keep all your things together in something safe, secure and portable that you can keep with you at all times over the course of the tournament, since you’re going to be moving around a lot. Money for lunch or snacks. If the place where you’re going to play is in a Stevi B’s like in Canton, you’re going to need this anyway. There are usually restrictions on food or drink during tournaments, though; drinks have to be in bottles with screw-on lids, for one. Be sure to ask the tournament staff about any rules concerning what kind of edibles are allowed within the competition space. Some may not allow you to bring in food or drink that was purchased outside the store. Your binder of tradeables. After the tournament ends, players who do not have to leave immediately may want to trade a few cards. This is a good opportunity to do some trading with players outside your local League. Be sure to keep these cards separate from your tournament deck, however. Listen to the Tournament Organizer’s announcements. Before the tournament begins, the resident TO will usually give a rundown of events, telling you how long the matches are and what to do when you’re done playing. They may also inform you of other tournament dates that have yet to be announced anywhere else. Be sure to listen attentively to what the TO says during this speech. Keep your stuff with you at all times, and do not let it out of your sight. There have been some instances where players found themselves victims of theft. Be sure to pick up all your things when you complete a match, and keep your boxes or bags under your chair near your feet if you cannot put them on the table when you’re playing. Be courteous to your fellow players. This is just basic etiquette; shake hands with your opponent when your match begins, and thank them for the game when the match ends. No bragging, boasting, taunting, or ridicule. 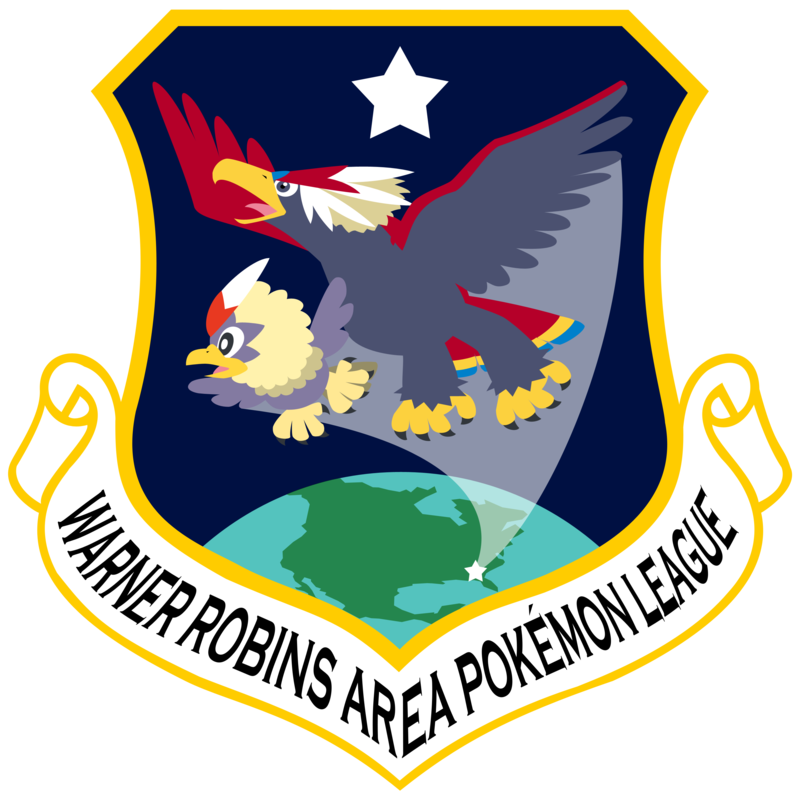 Remember that you represent the Warner Robins Area Pokemon League, Team Aerial Ace, and all your fellow gym trainers when you compete at a tournament; play and act with honor and integrity befitting of a Pokemon Trainer. If you have a question, call a Judge! If you’re confused about a move, gameplay mechanic, or ruling, raise your hand and wait for a Judge to come over. The Judge will resolve your conflict the best they can. If it is a very challenging question, it may be sent up to the Head Judge, but remember that whatever verdict the Head Judge gives you on the game state, you will have to follow it. Also, remember that gameplay errors must be accounted for immediately, not after the match has ended. When you are done with a match, report your results to the Tournament Organizer. If you have to move somewhere outside the competition space when you’re done, be sure to pick up all your things, and check under the table for anything else that may belong to you. Have fun! It may be tough during a competition, but remember that everyone there is a Pokemon fan just like you (yes, including the adults!) and they all enjoy playing Pokemon just as much as you do. Tournaments are a great way to meet other players, learn cool strategies, and make new friends. No matter how well you do or how high you place at a tournament, what’s important in the end is that you had fun playing Pokemon with some fellow fans. Posted by raznprince in Events, League News, Pokemon TCG. No League Session on December 1. HV will be having their big sale this weekend, so all regularly scheduled gaming events (including League Session) on this date will be cancelled. TCG City Championships season in GA will be underway soon! Consider going to Buford for Cities during the League’s off-weekend. The schedule for all Cities events in GA can be found under the “Tournaments” tab. Decklist forms can be downloaded and printed finding it under the “Library” tab. Our first League Session for the Virbank Gym Season starts December 8. We should be receiving supplies and badge cases for the Virbank Gym season pretty soon. If you need to finish up on your Aspertia Gym tracking card, all games played on that card or tracking cards from seasons past will be issued Double Points. Please remember that per League Rules, you can only work on one tracking card at a time, meaning you cannot receive stamps on more than one different card for the same games played. However, you may choose to start working on the Virbank Gym tracking card if you wish to finish your Aspertia Gym tacking cards in the future. Attend at least one (1) League Session during the Virbank Gym season so that Gryphon or I can add you to our attendance roster. Afterwards, you can log into your Trainer Club account to place your badge case order. A reward for our active VG players who attended the Aspertia Gym season! If you were reported as having attended the Aspertia Gym season in the past few weeks, you are now eligible to receive a Scizor with a hidden ability for your Pokémon Black 2/White 2 version game(s)! Click here for details. I will be unable to run tournaments at HV for the next couple of months as I will be heavily involved in playing and staffing for Premier Events. You are highly encouraged to consider participating in Premier Events in order to gain more tournament experience. Keep in mind that all of these events will require you to play with a deck built according to the Modified-Constructed format and completed decklists will be required to register. You will receive Play! Points for each event that you participate as necessary for those of you with the 2013 U.S. National Championships attendance on your schedule. 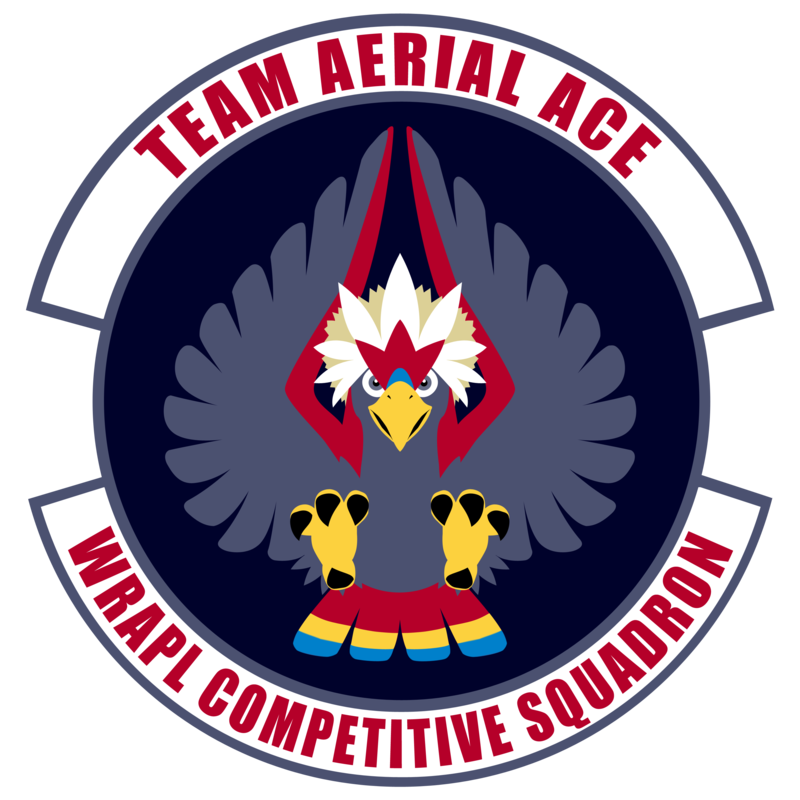 Still recruiting for Team Aerial Ace! If any of you TCG players are interested in becoming competitive and plan on attending any of the City Championships events, it’s not too late! Just let me know that you are interested and I may plan on scheduling training sessions with you. Posted by raznprince in Pokemon TCG. Are you (or your child) looking to improve your game with the TCG? Are you (or your child) interested in becoming competitive? Do you (or your child) plan on attending Premier Events such as Cities, States, Regionals, etc. in the future? If you answered “yes” to all of the questions above, then we want you on our team! As I have mentioned in my previous post, I will be heavily involved in playing and staffing for Premier Events over the next few months as my plan is to participate in a few City Championships tournaments and judge at some of the larger events. -receive stamps on your current tracking card (actual number TBA). -receive deck critiques (how to make your deck better). -learn how tournaments are run at the Premier level. -trade cards as necessary to improve your deck. -learn advanced rulings on strategies and scenarios. If you are highly interested in joining Team Aerial ace, reply to this post or e-mail me at raznprince@gmail.com, subject line “Team Aerial Ace.” I may be willing to schedule some weekday afternoon sessions upon request. Please only respond if you are serious about competing at the Premier Level. Let me know if you have any other questions! A great turnout for the Boundaries Crossed Sealed Tournament! We had a total of 18 players attend our event and there were some great cards pulled! A great job to those who came out, and Gryphon and I hoped you enjoyed your time this weekend! Congratulations to our Boundaries Crossed Sealed Tournament division winners! Kelly B., Seth E. (HGSS playmat winner), and Matthew N.! Thanks to the help of other leagues across the country, we now have enough prize support for up to 20 players! Badge Case ordering for Virbank Gym season is closed. Active players, please attend one of our League Sessions during the Virbank Gym season in order to place your badge case order for the Castelia Gym season. Virbank Gym season begins on December 3, and our League Session for that week will be on December 8. November 24 League Session is Double Points Weekend! This will be the last weekend of Aspertia Gym season. Double Points do not apply to League Leader Challenges, but if you are looking to get more points in general and improve your TCG gaming skills, consider taking the League Leader Challenge! Starting with the Virbank Gym season, Double Points will be issued for all past seasons’ tracking cards but never on the current season unless a Double Points weekend for that season has been designated. Per League Rules, you can only work on one tracking card at a time! Double Points for past seasons on Double Points weekends do not stack (example: if you are working on an Aspertia tracking card during a Double Points weekend in the Virbank Gym season, you will not get four (4) stamps for a single-game TCG battle, only two (2) stamps instead). HV will be having their big sale that weekend, so all regularly scheduled gaming events on this date will be cancelled. I will be unable to run tournaments at HV for the next couple of months as I will be heavily involved in playing and staffing for Premier Events. You are highly encouraged to consider participating in Premier Events in order to gain more tournament experience. Keep in mind that all of these events will require you to play with a deck built according to the Modified-Constructed format. You will receive Play! Points for each event that you participate as necessary for those of you with the 2013 U.S. National Championships attendance on your schedule. Posted by raznprince in League News. In the interest of being able to order the next season’s league kits to be delivered to our League on time, I have gone ahead and submitted the attendance report for the Aspertia Gym season. As a result, any active player who has not yet ordered a badge case to be delivered to our league for the Virbank Gym season will now be unable to. For that, I apologize, and I will allow you to place your order for a badge case for the Castelia Gym season if you attend the first week’s session of the Virbank Gym season so I can add you to the attendance roster there. For those who have placed their badge case orders before I submitted the attendance results, you should receive your badge case when the new league prize materials are also shipped to us. Any players not activated during this time was not included in the attendance list, and will not receive credit for the Aspertia Gym season. Let me know if you have any questions! Again, I apologize for the inconvenience and appreciate your understanding. Posted by raznprince in Pokemon News, Pokemon TCG, TCG News. I am proud to announce that BCR is now legal for tournament play! Please consult the Modified-Constructed Tournament-Legal Set List document under the Library tab for more information on what cards you can play with in a deck at P!P Premier Events. Looking to get your hand on the cards now? You can find some promo blister sets and packs as well as theme decks at your local Wal-Mart or Target, or you can come by to League this weekend and see if HV’s got some booster packs and boxes! Don’t forget that we will be having the Boundaries Crossed Post-Release Sealed Tournament on Saturday, November 17! Click on the Local tab above more information. If you will be attending League this weekend, I will be announcing my tournament twist rule for those of you who are curious.